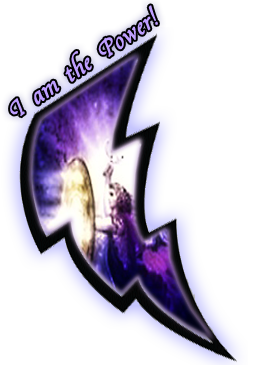 Archangel Michael - I am the Power! Archangel Michael, protect me from all harm! I regularly call on Archangel Michael to clear negative energy from any space including my home, office, mind and heart. Whenever I feel afraid or vulnerable I call on Michael and he will instantly protects me mentally, physically and emotionally and gives me the courage I need to face the challenge of the moment. It is believed that Michael is the leader amongst archangels. He appears in the Book of Daniel in the Hebrew Bible and in the Book of Revelation and this powerful being of light is known as the "Angel of Protection" and the " Defender of the Light & Goodness" who sits at the right hand of God. 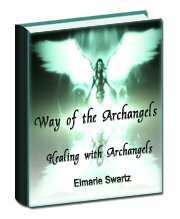 By knowing about the archangels and how to use their power as well as the power of Michael to help protect you and your family is invaluable. His name is a battle cry for the host of angels as they battle for mankind and Lord Michael's most important function is to rid and free the earth of the toxicants affiliated with fear. Michael can assist you whenever you feel the presence of negative forces. This beautiful Archangel joins you instantly when you ask for his assistance. The seven Archangels that I teach about in this course may be the best known of all the Archangels, perhaps because their presence has been mentioned in many historical and biblical accounts. Today, they are still strongly making their presence known and working in tandem with humanity to co-create a more peaceful world. His domain is the "fiery" energy of the solar plexus while sun-yellow is actually his main color but because Michael carries a sword made of sapphire, he is associated with the Blue Ray and the development of the third eye and the throat chakra. Physical Associations Throat, thyroid, parathyroid, upper lungs, base of skull and body weight. Spiritual Gifts Courage, strength, perfecting of your soul, freedom from fear and self-doubt. Practical Assistance Psychic protection, physical protection on anything from car accidents to burglaries. World Service Inspiration for leaders, improvement of government. NOTE: Archangel Michael and the Blue Ray is really great at helping with healing ear and throat infections, reducing fever and inflammatory conditions, lowering high blood pressure and heart rate, reducing stress and calming the central nervous system, the blue ray is also a natural pain reliever. Having the archangels in your space on a daily basis is both calming and healing, for me I find that having images of them at various places around my home to be ideal. That way whenever I see one I am reminded of the Archangels and all they are doing for me.